The Creator’s calendar has two categories of days that do not exist in the modern papal/pagan calendar: New Moons and translation days. Once these are understood, it is easier to grasp how time was originally calculated. although it was not until 1949 that the entire world was unified in its use. Knowledge of time, and how it is calculated, allows one to understand the significance of the New Moons and translations days that appear in the Biblical method of time keeping. Time can only be measured by movement. Without movement, time cannot be measured. The modern calendar is a solar calendar, which bases its days and years exclusively upon the sun. On the modern calendar, weeks and months are not based on anything in nature. They are completely arbitrary. This is different from the luni-solar calendar established by Yahuwah at the creation of the world. The calendar of creation is based entirely on nature. From its years, to months, from weeks, to days, it is all based on movement. The word “month” was originally “moonth” and comes from the word moon. In ancient times, months were always based on the movement of the moon. Weeks, in turn, were divisions of the month, or lunation. “[T]he Hebrew Sabbathon … was celebrated at intervals of seven days, corresponding with changes in the moon’s phases...”2 The fact that the months and weeks of the Biblical calendar are also based on movement in nature creates the biggest difference between Yahuwah’s luni-solar calendar and the pagan/papal solar calendar in use today. It also creates the most confusion. Both calendars keep track of how much time it takes for the earth to complete one revolution around the sun (a year). Both break that year into smaller, more manageable segments. But there, the similarity ends. The modern calendar has months ranging in length from 28 days to 31 days. The months are not tied to anything in nature. Consequently, the week cycles continuously and without interruption from one month, to the next; from one year, to the next. The Creator’s calendar, on the other hand, bases each month on the movement of the moon. Each month begins with the new moon. The week, being a division of the month, restarts its cycle every New Moon. “The Hebrew month is a lunar month and the quarter of this period—one phase of the moon—appears to have determined the week of seven days.”3 This is the hardest point to comprehend when first beginning to study the calendar of Creation: the modern, solar calendar has a continuous weekly cycle. The calendar of Creation does not. The first day of the new month. The period of time between one new moon and the next. "As the new moon and the Sabbath were lunar feasts, the Passover (with the Feast of Unleavened Bread), Pentecost, and Tabernacles were solar festivals, i.e. festivals which followed the seasons of the year." A Dictionary of the Bible: Dealing With Its Language, Literature, and Contents Including Biblical Theology, 1898, Vol.1, p.860. that there are even more Scriptural references6 which use the word chodesh to refer to a calendar month than there are to its use as the first day of the month. Chodesh is used 20 times in the Bible to refer to the first day of a new lunation. It is used 251 times to refer to a calendar month, or lunation. Chodesh: new moon; month; lunation. New Moons were non-commerce days. New Moons were days of thanksgiving. New Moons were days of worship. “When will the new moon be gone, that we may sell corn? and the Sabbath, that we may set forth wheat, making the ephah small, and the shekel great, and falsifying the balances by deceit? 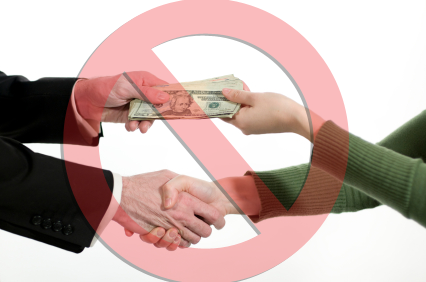 Work done for the tabernacle, however, was allowable. Thus did Moses: according to all that Yahuwah commanded him, so did he. It is possible, but unknown, that other forms of “work” were acceptable to perform on New Moon. However, no work that generated income, no commerce, was to be performed on New Moon nor any other routine labor that could be performed on other days. Scribner's Dictionary of the Bible, 1898 ed., p. 521. New Moons were a time for families to get together, share a meal and rejoice over the blessings of the past month, rededicating themselves to Yahuwah for the new. Both the Bible and extra-Biblical sources present New Moons as a day for taking time to spend with family and friends over a meal. Some sources suggest it was a day when women in particular were freed from the many burdens of housework. Other passages of Scripture reveal that New Moons, like Sabbaths, were a time when people would go to make special inquiries of the prophets. Translation days, like New Moons, have no direct correlation in the modern solar calendar. However, it is necessary to understand what they are in order to have a clear comprehension of Yahuwah’s calendar. “Translation day” is an astronomical term that is not found in Scripture. However, the fact that the Biblical months were based on the cycles of the moon is sufficient proof that they exist in the Biblical calendar. According to the United States Naval Observatory, a lunation is 29.5 days long. Generally speaking, this equates to every other month having 29 days, and off months having 30 days. A lunation never has less than 29 days or more than 30 days. This is a demonstrable astronomical fact. Astronomers use the term “translation day” to designate the 30th day of a lunation. 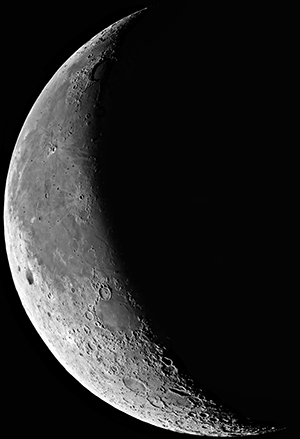 It falls at the end of a lunar cycle on the “black moon” when the moon cannot be seen. All time must be accounted for. Thus, translation days are not “non-days” as some have suggested. They have a date: the 30th of every thirty-day month. The 30th of the month, like the first of the month, was not part of the seven-day weekly cycle. However, it was counted and did have a date. The assumption that there will be too many work days between Sabbaths comes from not understanding that the New Moon itself is a worship day that starts a new cycle of four weeks: six work days, each followed by a seventh-day Sabbath. As the New Moon begins the new weekly cycle for the new month, translation days are not part of that weekly cycle, even though they are a day with a date. Translation days, which are always the 30th on a lunar month, can never be transferred to the next month or counted as a date in the new month because the next month always starts with New Moon day, which is the day following translation day. With the New Moon, a new cycle of four weeks begins. Interestingly enough, this confusion always arises among those in the west who have only ever known a calendar with a continuous weekly cycle. In countries that use lunar calendation for their religious calendars, it is an easier concept to grasp. Yahuwah has always clearly specified by name or date which days are to be kept holy. Thus, all days that are not specifically designated as holy days are workdays. There are never more than six workdays in between rests, as New Moons are rest days. 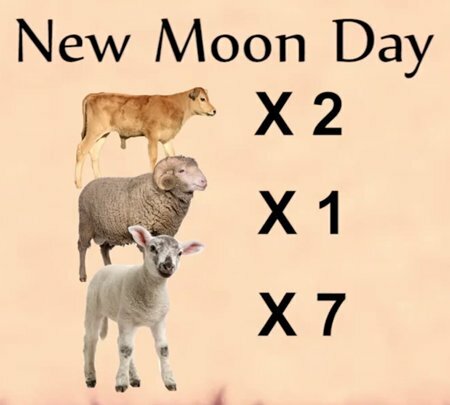 The importance of New Moon can be seen in the fact that the sacrifices prescribed for New Moons were considerably more than those prescribed for the weekly seventh-day Sabbath! 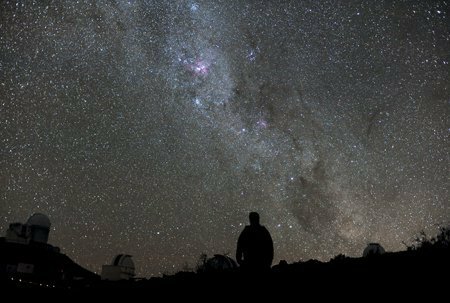 Many people who have been convicted to worship by the Biblical calendar observe the weekly and yearly observances, but the monthly observance of New Moon is frequently overlooked. This is partly through ignorance of how to observe New Moon. However, the importance of New Moon can be seen in the fact that the sacrifices prescribed for New Moons were considerably more than those prescribed for the weekly seventh-day Sabbath! The sacrifices required for the seventh-day Sabbath were simply the two lambs offered every day plus two additional lambs and a small food and drink offering. The sacrifices for New Moons, however, included two young bullocks, a ram and seven lambs, plus a sizable food and drink offering – in addition to the two lambs that were always offered every day. All of Creation was designed to reveal truths about the Creator and to draw the hearts and minds of man to his Creator in grateful acknowledgement. The calendar devised by Yahuwah is divinely designed for that very thing. The seventh-day weekly Sabbath is to be segregated, set apart for the worship of the Creator. The word “Sabbath” comes from shabath (#7673) and means “to repose, i.e. desist from exertion.”10 But it was not just the weekly Sabbaths that were to be set apart. Originally, the monthly New Moons and, of course, the yearly feasts were all times to remember the goodness of the Creator. Yahuwah’s holy convocations, including New Moons, are a time for renewed commitment to the Creator; a time to slow down, acknowledge the Father’s gifts of family, friends and other blessings. New Moons bring a blessing to all who will set aside this time to acknowledge the blessings of Yahuwah. They will be kept throughout all eternity as the saved rejoice in the endless blessings of the loving Creator. 2 Encyclopedia Biblica, 1899 ed., p. 4180. 4 #2320, The New Strong’s Expanded Dictionary of Bible Words, p. 453. 5 1 Chronicles 23:31; 2 Chronicles 2:4; 2 Chronicles 8:13; 2 Chronicles 31:3; Ezra 3:5; Nehemiah 10:33; Isaiah 1:13-14; Hosea 2:11; Psalm 81:3. 6 Genesis 38:24; Exodus 12:2; Numbers 10:10; Judges 11:37-38; 1 Samuel 27:7; 2 Samuel 24:13; 2 Kings 23:31; Esther 2:12; Ezekiel 39:12-14; Amos 4:7, etc. 7 New Strong’s Exhaustive Concordance of the Bible. 8 Universal Jewish Encyclopedia, p. 410. 9 Eviatar Zerubavel, The Seven Day Circle, pp. 7-8. 10 The New Strong’s Expanded Dictionary of Bible Words, p. 833. 11 Encyclopedia Biblica, op cit., pp. 4178-4179.